BARCELONA, Spain (AP) — The Spanish government’s bid to pass a national budget is doomed unless it bends to the demands of Catalonia’s separatists for a referendum on secession, the leader of the wealthy northeastern region says. The passing of a budget would boost the chances for the minority government of Prime Minister Pedro Sanchez to see out this legislative term through 2020. Failure would put pressure on Sanchez to call early elections and increase the political instability of the eurozone’s fourth largest economy. Sanchez has refused to agree to a referendum on secession, which Spain’s top court has ruled would violate the Constitution. Sanchez came to power in June partly thanks to the backing he received from Catalonia’s separatists to oust predecessor Mariano Rajoy in a no-confidence vote. Now, Torra wants to condition that support. The Spanish Cabinet approved the budget proposal on Friday, launching its course through the lower house of Parliament. Finance Minister Maria Jesus Montero said that the government would not negotiate the exchange of political favors of any kind to win support for its budget, which she defended as beneficial for Catalonia. Sanchez, whose Socialists hold 84 of the 350 seats in the country’s lower house, has the support of the far-left Podemos party but must persuade smaller parties to get behind his spending plan. His two main rivals – the pro-business Ciudadanos and the conservative Popular Party – are both refusing to support it. The question of whether to keep Sanchez afloat is causing fissures within Catalonia’s separatist movement, potentially splitting moderates from diehards like Torra. That is due to Sanchez’s willingness to hold talks with Torra regarding Catalonia, as well as fears that weakening Sanchez could lead to the return of the PP to government and its hard-line stance against the separatists. “We can’t allow the government of Pedro Sanchez to fall. The alternative to toppling this government would be much worse with the PP, Ciudadanos and the extreme right,” ex-Catalan government member Dolors Bassa said this week from prison. Bassa is one of nine high-profile Catalan separatists who have spent over a year in pre-trial jail for their part in Catalonia’s illegal – and unsuccessful – declaration of independence in October 2017 after holding a banned referendum. The attempt by Sanchez to pass his budget coincides with the country bracing for the trial of those separatists leaders, set to begin in the coming weeks. 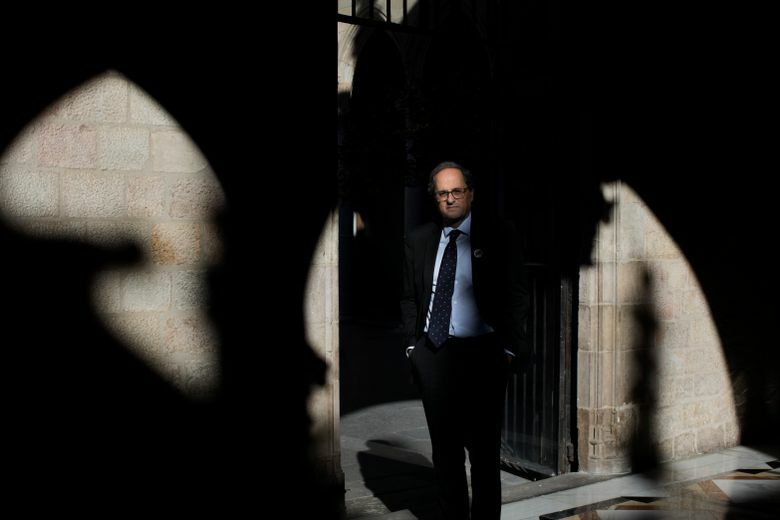 Torra, who in the past expressed anti-Spanish views that his critics call xenophobic, is vehement in his defense of his imprisoned cohorts, some of whom face charges of rebellion that carry sentences of 16 to 25 years behind bars. 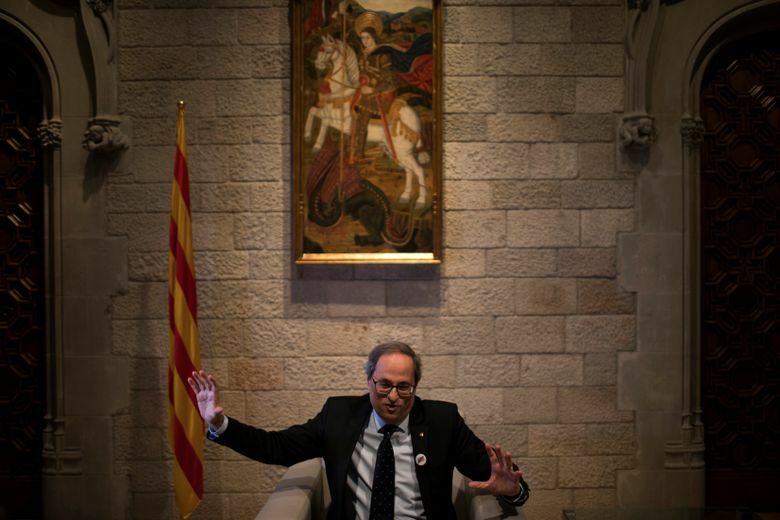 “They will mount an excellent defense, but seeing how the judiciary has acted until now our hope is very close to zero,” said Torra, who will travel to California on Sunday on a five-day trip to promote Catalan businesses and his political cause. 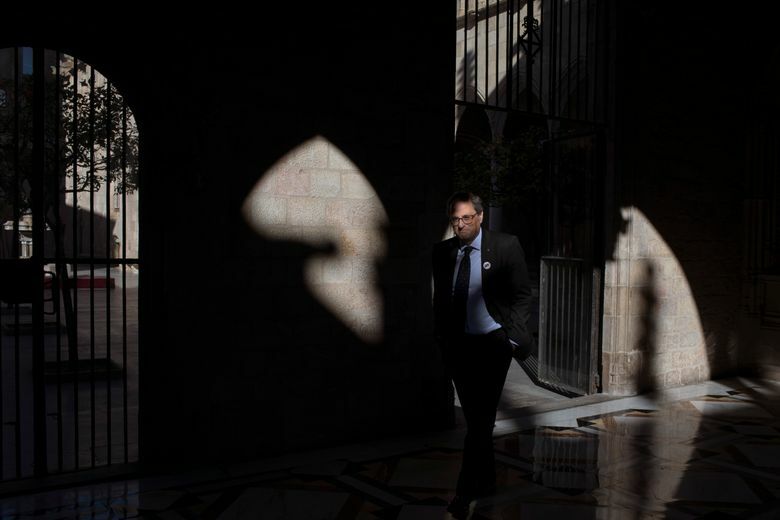 Torra added that he expects the trial to further unite the roughly 50 percent of Catalonia’s 7.5 million residents who want to break from Spain. “The sacrifice that this has meant for our brethren in jail and exile has also helped reinforce the will of the majority of the Catalan people to move toward independence,” Torra said. Sanchez has promised that the separatists will receive a fair trial. AP video journalist Renata Brito contributed to this report.